Purrrring along here in "Hello Kitty" world. With the fronts completed I turn my attention to the back and yoke. I've decided to eliminate the center box pleat at the back, so things are pretty simple here. My plan all along has been to use the gingham as a contrasting inner yoke. One problem though.... The tana lawn is so sheer that the gingham shows through. To solve that problem I basted in an interlining of white batiste. Problem solved. Not only is the transparency issue fixed, but the whole yoke is more substantial. What's going on here? 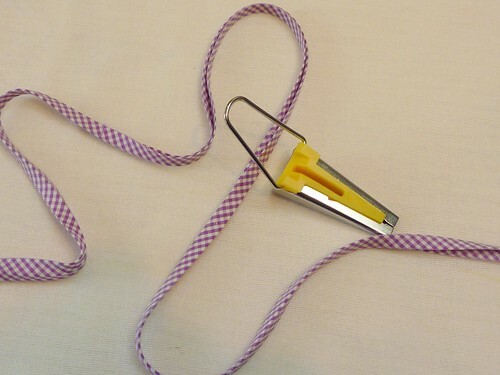 This is the much beloved "burrito method" of attaching the yoke to the shirt fronts. It works like a charm, and gives a professional finish to the inside of the shirt. It's really an indispensable technique in any shirtmaker's bag of tricks. I added a pocket to the upper right sleeve just for fun. I tried it with a flap like the front pockets, but decided it was just too much. A simple band with a button seems better. If I had an iPod, this would be the perfect place to stash it. 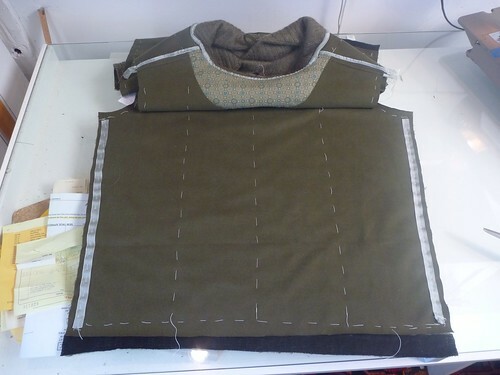 The bottom panel is attached to the shirt fronts with a flat felled seam. Pressing the seam upwards allowed me to trim out the bulk of the plackets. Inside, everything is finished off. No raw edges for this guy! 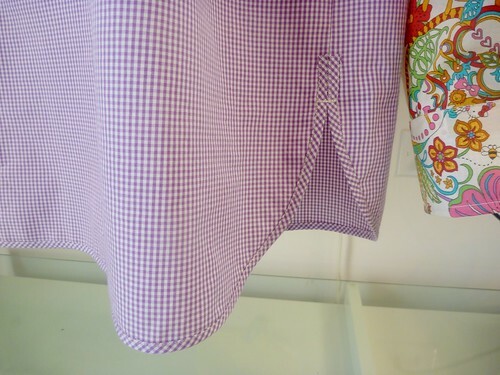 The lavender gingham is used as a contrasting inner cuff. I can't topstitch a curved cuff to save my life, so I just lop off a corner at an angle. Works for me! When the sleeves are rolled up, the lavender color is brought up higher on the shirt. It helps balance off the green of the pocket flaps and contrasting placket. What's this? This is the Pam Erny method of turning collar points. This has become my preferred method and I think it gives the sharpest point. (Shirtmakers start to get obsessive over such things!). 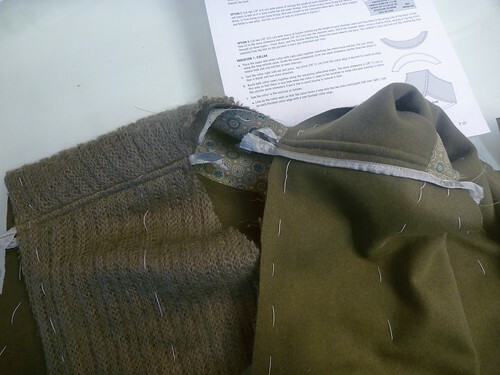 A loop of thread is sewn into the seam while the collar is being assembled. 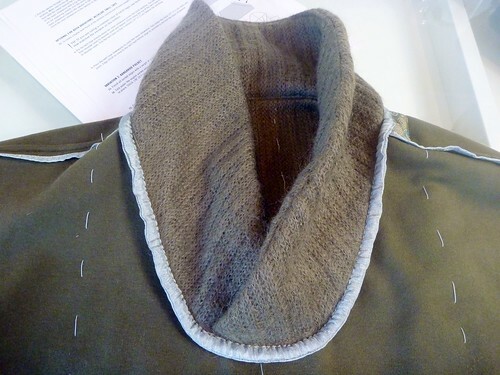 After turning the collar the loop is gently pulled and the collar point pops out. Voila! The collar and band are interfaced with Prowoven Light Crisp Fusible from Fashion Sewing Supply. Their interfacings are frequently on sale, and I highly recommend having an arsenal of different weights in your stash. Even with a white interfacing the collar was too transparent. Using the gingham for the undercollar gave a more consistent look. I use Peter's (of Male Pattern Boldness fame) method of attaching the collar and stand. Tutorial here. Have I mentioned that I stink at sewing curves? My TNT pattern has curved tails. 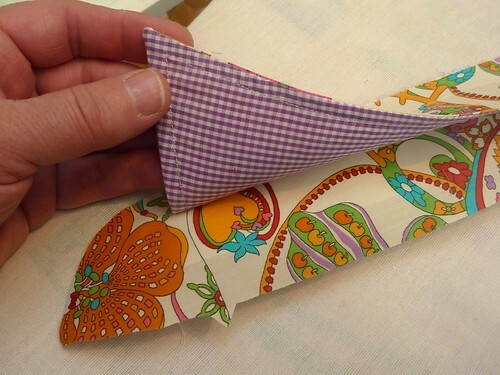 I usually fold them over about 1/4" twice and stitch them. It's always a struggle, and my results are average at best. It's a good incentive to keep my shirts tucked in! The dilemma presented by this shirt is how to deal with tails that are intentionally untucked. My solution is to finish off the lower edge with a bias binding, something I've never attempted before. Clover bias gizmo to the rescue! This is the 12mm size, which produces a binding about 1/4" wide. I trimmed off the 5/8" seam allowance at the bottom edge, basted the binding in place and then edge stitched it on. A little time consuming....Yes. But I think the final result was well worth it. Not only is it neater than my usual method, but it adds some weight to the hem. Spring is right around the corner!!! My TNT shirt pattern has very long tails. No way it's ever gonna come untucked! The Hello Kitty shirt, however, is meant to be untucked. So I hiked it up a little bit, and settled on a point where the bottom panel will start. I felt this proportion was best for me. Just for the heck of it I tried the "Today's Man" dimensions and hated it. It seemed to cut me right in half, which was visually awkward. After looking at some RTW shirts in my closet that are meant to be untucked, (yes, I still have some RTW, but not for long! ), I noticed that none of them had a back pleat. So I'll be eliminating it. I decided that there was NO sense in trying to match this pattern. It's just all over the place. Instead, I just tried to find a balance between the two fronts. 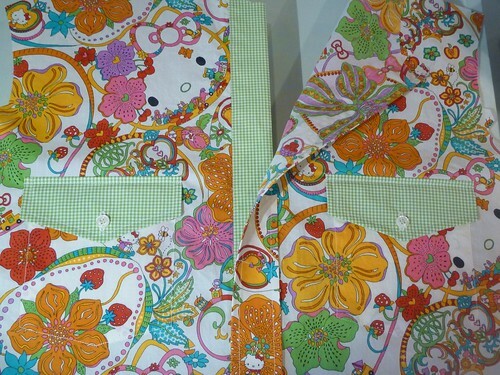 The green gingham has been placed at the right front as a contrast. Ultimately, it will only be visible at the neckline, since it's covered by the placket. I love figuring out how to make these little tweaks. Here is the finished front placket (sans buttonholes). I think having it unmatched is actually best. I have never worked with Tana Lawn before. It's feather light and very finely woven, but it tends to be a little on the sheer side, especially with an ivory background. I'd definitely be more comfortable with a couple of chest pockets on this shirt. I matched the pockets and added buttoned flaps. This completes the shirt fronts. Next I'll move to the back and the yoke. See you then! As interpreted by Liberty of London no less! First, a huge apology. This post is WAY overdue. 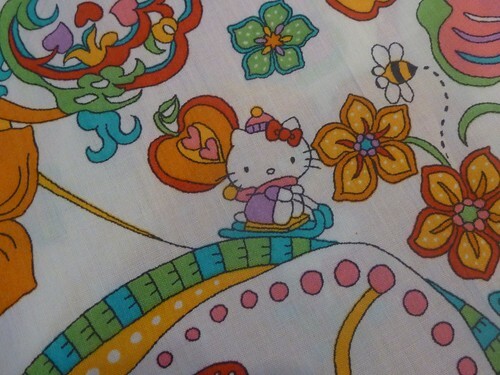 One of my readers generously sent me a length of Liberty tana lawn in this fantastic Hello Kitty print ages ago. She said it was "a bargain", not her colors, and that she wanted me to do something with it. What an amazing gift! I hope she doesn't think I'm a total ingrate for waiting so long to actually cut into it. 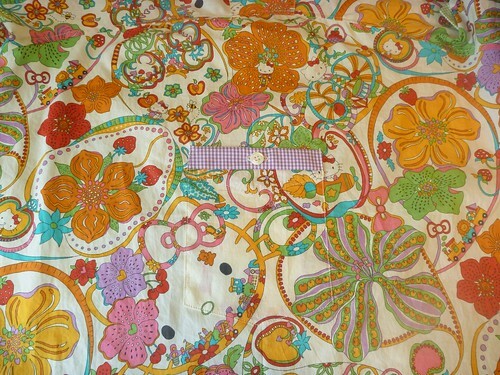 But special fabric like this takes a lot of consideration. At least it does for me. This is too good to squander. Trust me, I've been thinking long and hard about how best to use this swath of British luxury. It's a swirling print of flowers, toys, strawberries and apples on an ivory ground, with little kitties hidden throughout. One can't help but smiling. It's very "Where's Waldo". 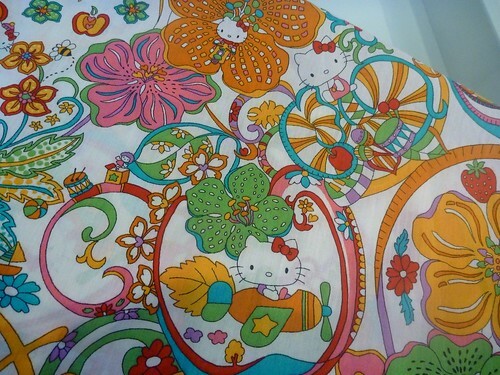 This time the game is finding Hello Kitty, who seems to be hiding everywhere. There's even a Hello Kitty on a motor scooter. And the colors! Nothing subdued here. The printing is, as one would expect, incredibly detailed and sharp. For an informative video of Liberty's printing process click here. I was attracted to version B, the white pullover shirt with the bottom panel. I was thinking the bottom could be a contrasting fabric. Some of you may remember that I made the short sleeve version E from a striped linen this past summer. Good thing I made that shirt first, because I found out first hand what a crappy pattern this is! The front placket on version B is completely fake, just a lot of topstitching to give the illusion of a placket. Ugh! Why can't we have real men's clothes? I certainly wasn't going to waste Liberty fabric on "Today's Man"! 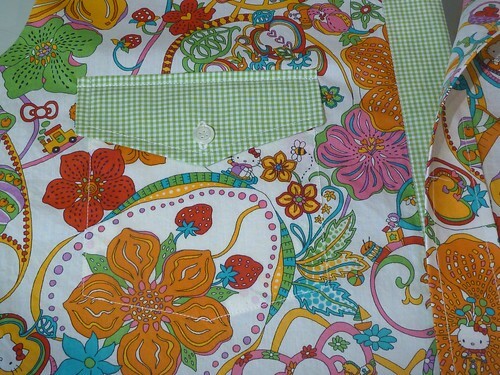 New plan..... Hack my existing TNT buttondown shirt pattern. 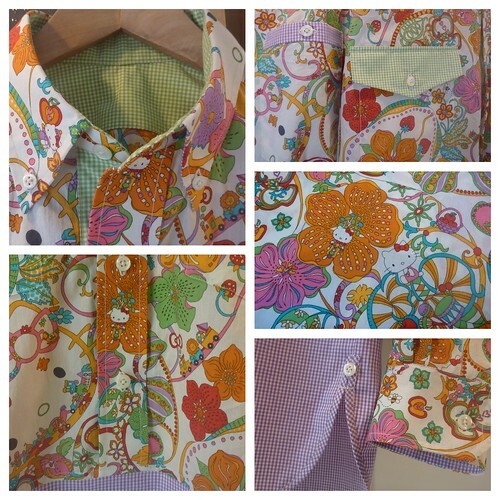 Say hello to a real shirt placket, yoke and collar on a stand. 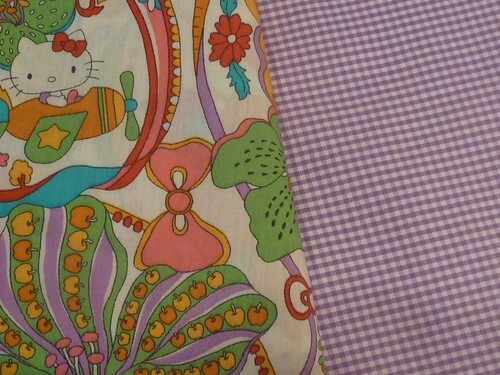 Next obstacle.... Finding the perfect coordinating fabric. There seemed no sense in looking anywhere else but here. Beckenstein's on W 39 th St. I usual just drool over what's in the window and keep on walking by. Not this time! Beckenstein's has by far and away the largest selection of men's shirting in the garment district. Way more than either of these pictures shows. Truly, a shirt maker's dream store. The only caveat.... There are NO bargains to be had here. 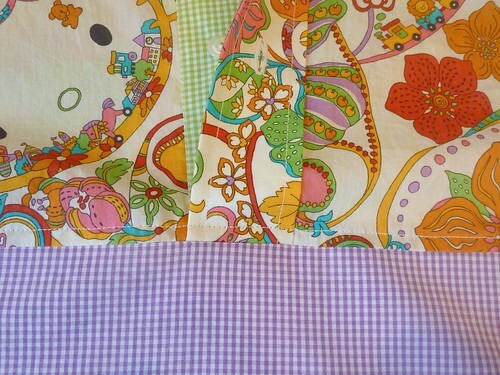 But a special shirt deserves terrific fabric. 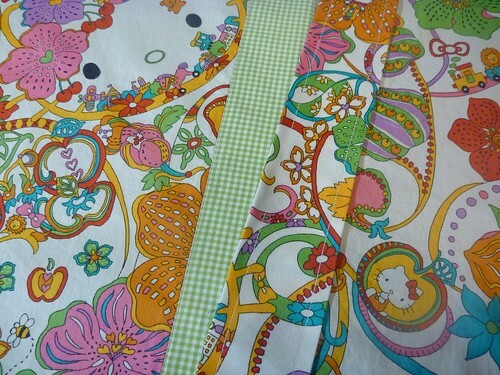 After much deliberation, and help from my patient fabric shopping friend David, I settled on two fabrics. 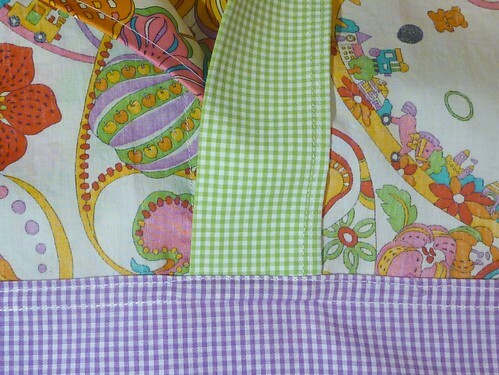 A lime green, and a lavender 1/16" gingham check. It could have gone so many ways....orange, red, turquoise, pink. Somehow this just seemed to click for me. 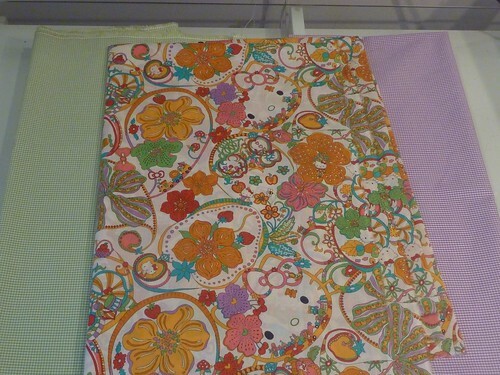 The scale also seemed to work by not competing with the Liberty print. Everything is prewashed. Time to make a spring shirt! 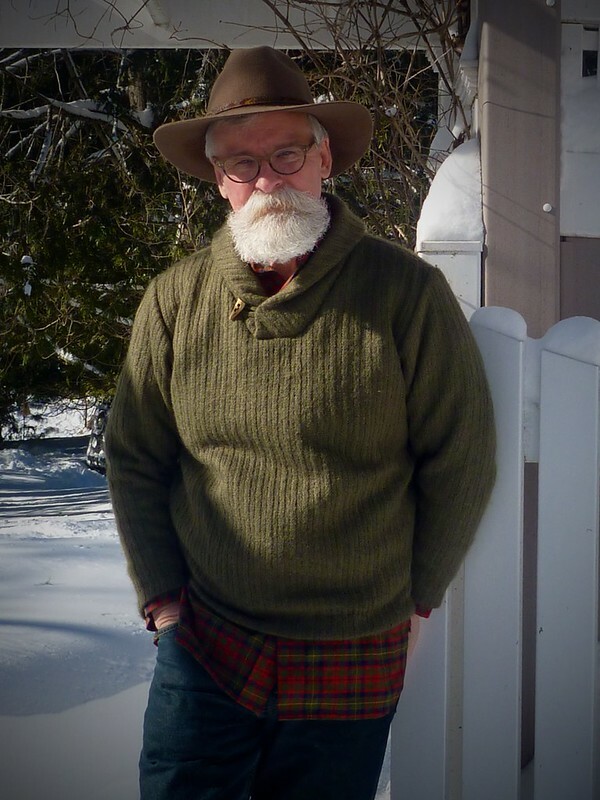 This sweater's ready to take on a Maine winter..... And quite stylishly IMO. Kudos to Thread Theory for this design. I can't think of any guy who wouldn't love this sweater. I made a few little changes this time around. 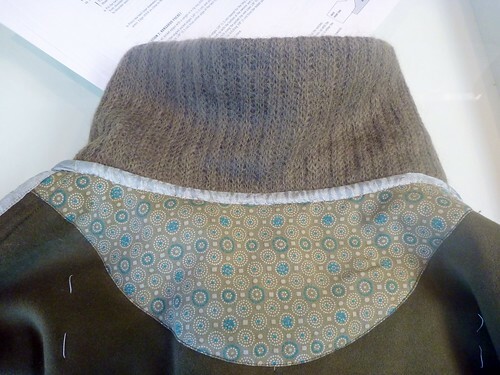 I added a horn toggle and loop closure which adds a bit of extra interest to the collar. (Toggle from C & C Button). I also eliminated the cuffs and the waistband, primarily due to the bulk of the materials chosen. 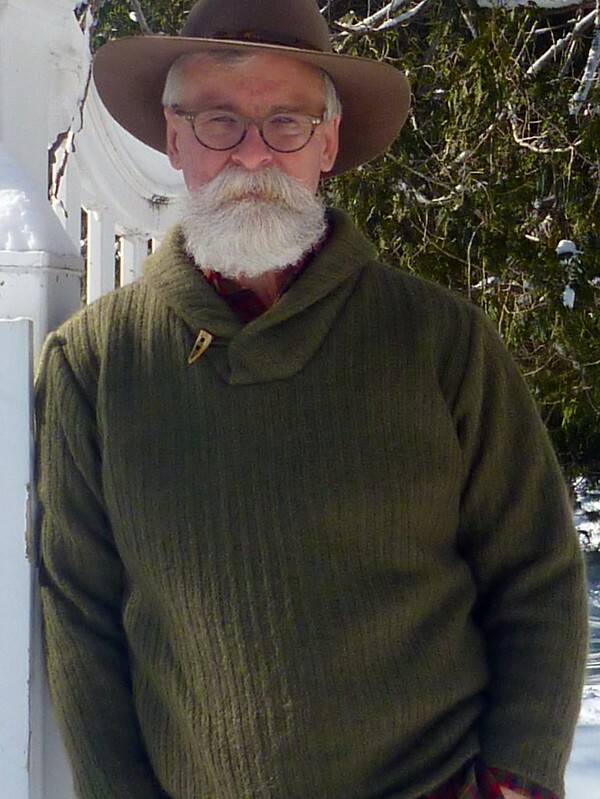 Just to recap, the sweater knit is wool / mohair from Metro Textiles in NYC. Thank you, Mr. Kashi! I came so close to completely overlooking it. It's underlined with a wool jersey knit from NY Elegant Fabrics. This is, without a doubt, the most luxurious sweater I've ever worn. I'm wearing it with a tartan tuxedo shirt that I made several years ago. It's like they were made for each other. It's also a good reminder that I need to make more red clothes. 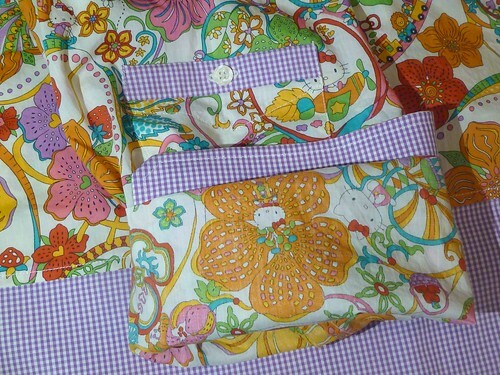 This is the end of winter sewing for me. Like many of you, I'm thinking spring. My next project promises to be lots of fun, and involves absolutely NO olive green! What it does involve is an amazing gift from one of my readers. You won't believe! 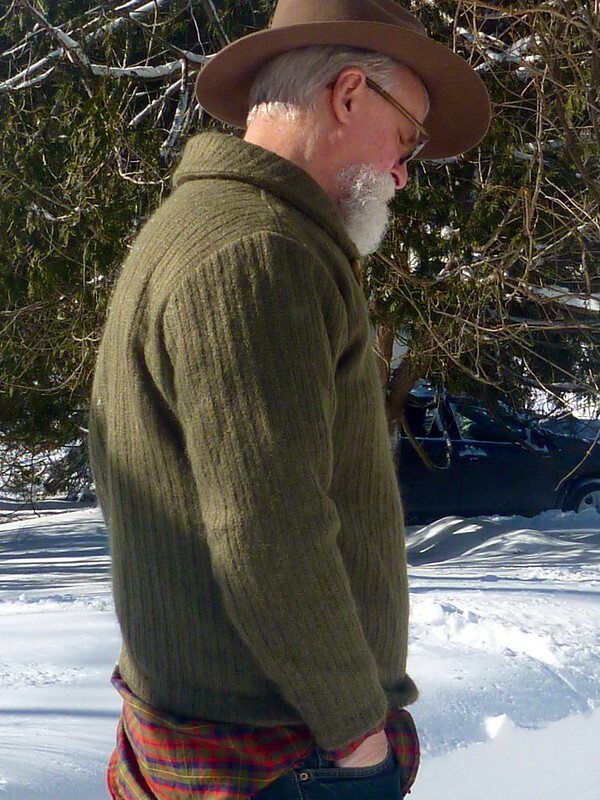 Construction continues on the Finlayson sweater. Because I'm working with a double layer of knits, I find myself having to improvise most of the seams to reduce the bulk. Even with the added steps I'm doing, this sweater goes together easily. 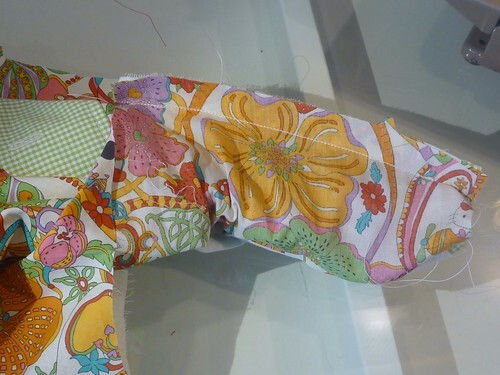 Once again, I'm using Snug Hug rayon seam binding to stabilize the seams. 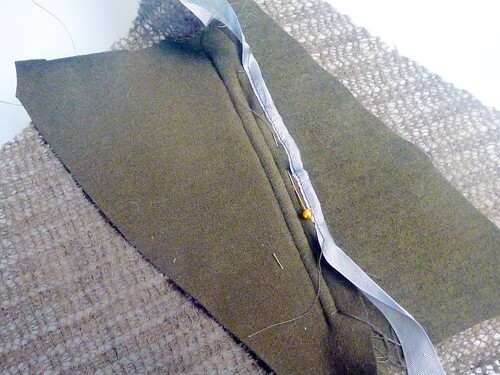 Here I've placed a strip in the shoulder seam to prevent it from stretching. The bigger issue at the shoulder is really the bulk. There are four layers to contend with, two each of the wool jersey and the wool / mohair knit. 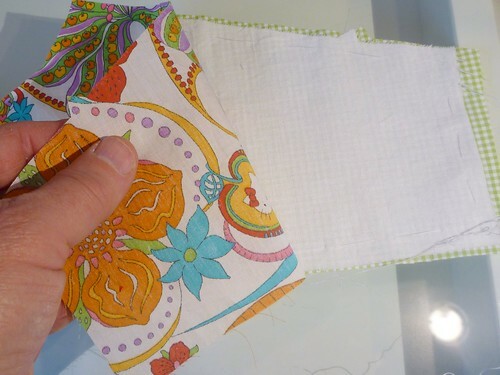 I experimented with some scraps and came up with this quasi flat felled seam. I trimmed three layers away and then pressed a jersey layer (which has been Snug Hugged) over them. Then the whole mess is top stitched. It ends up looking like this on the outside. Personally, I kinda like it! So here is the final result. 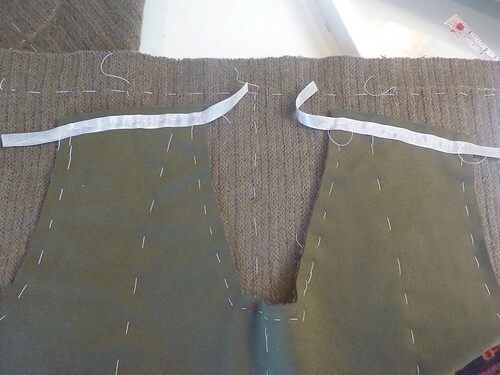 On the left the shoulder seam as seen from the outside, on the right is how it finished off on the inside. There are no raw edges to come unraveled anywhere. 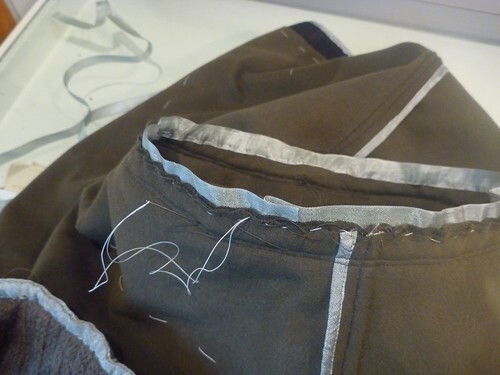 The same process was done on the side seams. Unfortunately, I don't have any pictures of the whole collar assembly. Trust me, it really goes together easily. 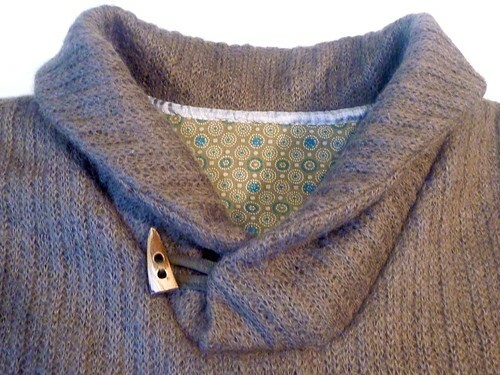 For this sweater I placed a layer of the wool jersey between the upper and under collars. Two layers of the loosely woven knit were just not substantial enough for my taste. I understitched the collar to help it keep its shape, being sure to stop about 4" from each end. A lesson I learned from Finlayson #1. Alternatively, it could be topstitched. Inserting the collar can be kind of a mindbender (at least it is for me!!). My approach is to fold the collar into the correct shape first, and then flip it down onto the sweater front as seen in the diagram above. It's then just a matter of basting it all into place. 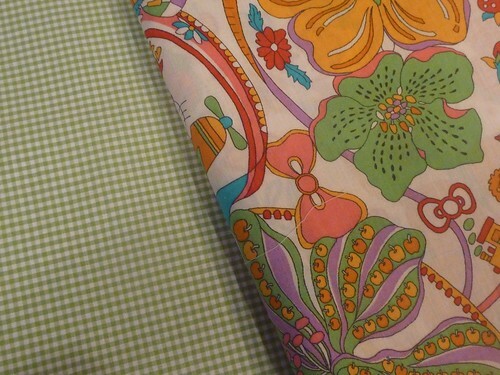 This pattern is beautifully drafted, and the collar falls into place effortlessly. Still, I would recommend basting the hell out of it. 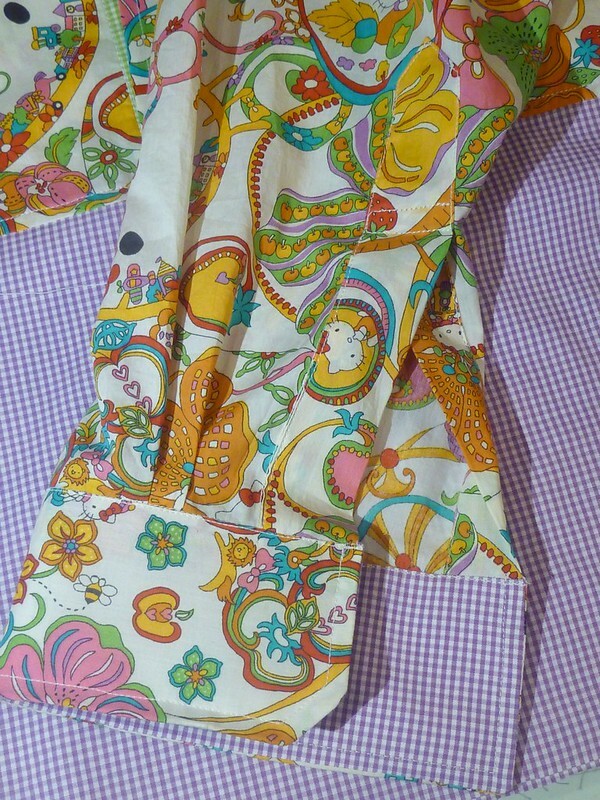 Again, my big issue was the bulk of the seams, especially the one across the bottom the placket. 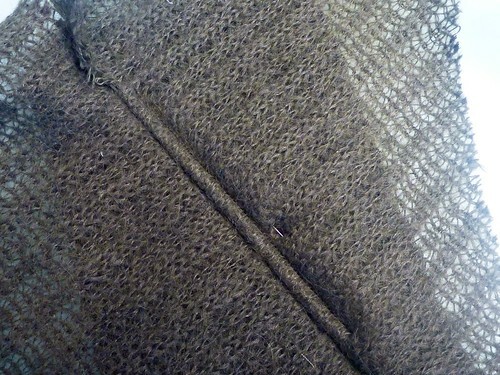 That seam contained 3 layers of wool jersey, and 5 layers of wool / mohair knit! Needless to say, I did a great deal of very careful and judicious trimming. This is NO place to slip up. 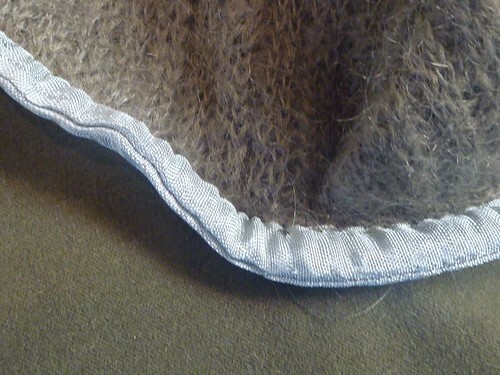 To bind off such a bulky seam I stitched two lengths of Snug Hug together very close to one edge. 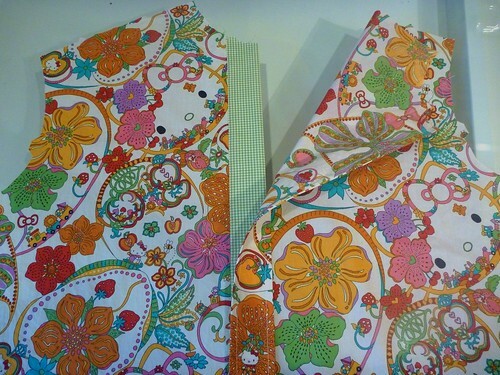 I then turned and pressed the ribbon, making a double width binding. I handstitched this over the trimmed seam allowances. 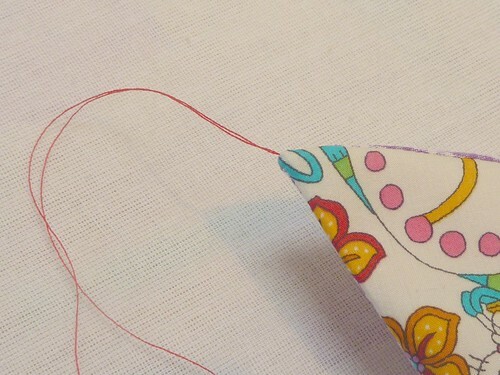 Handstitching gave me complete control over this process, plus .... I really enjoy it. And here is the result. Certainly worth the time and effort to have a clean finish on the inside, and worthy of the luxurious fabrics I'm working with. The back neck edge and arm holes are also finished off with Snug Hug. Lastly, a loop and horn toggle closure finishes it off. 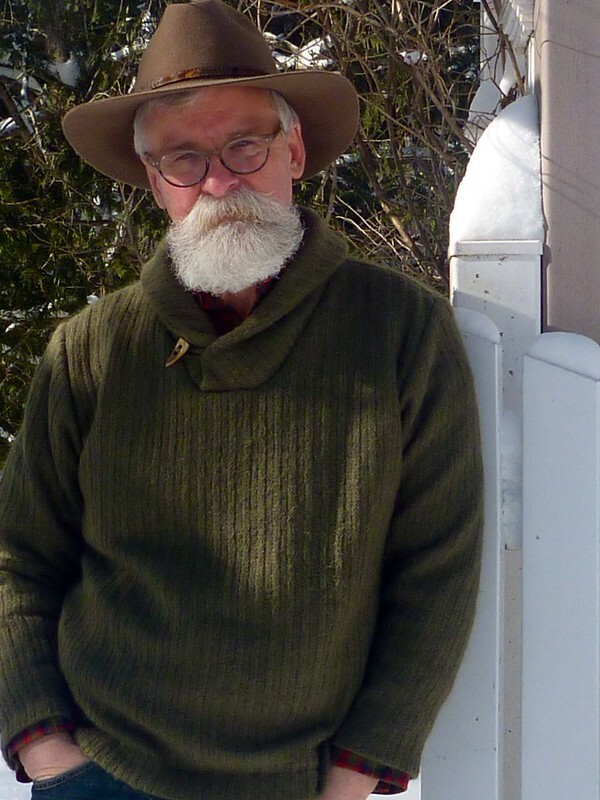 This sweater's ready for the great outdoors! Time for another snowy photo shoot.